Eddie Lancaster is in trouble. One month ago he killed Killian Myers, and now Inspector Richards is after him. Luckily, Richards has no evidence. But that's not all Eddie has to worry about. People are going missing from Mote Park. The circumstances point to the supernatural, and Eddie is hired to investigate and resolve the matter. He soon discovers that what's going in in Mote Park is far more sinister than a simple kidnapping. On top of it all, Rachel, a woman from Eddie's past, has arrived in Maidstone, and she isn't leaving without him. No matter who she has to kill. Wanted by enemies on all sides, Eddie has to find a way to overcome the odds before his friends end up dead, and he ends up a prisoner. Eddie Lancaster is nobody's fool. He is a relentless bulldog that won't let go of something once he's got his choppers locked on. One of the things I love about him is that he isn't a "nice guy", he does whatever he has to in order to get his task at hand completed. The man is relentless, and he doesn't take crap. I love that. One thing about Eddie, he is a little full of himself and takes umbrage when someone tries to take some air out of his bag. Being that this is book two you know that we pick up after book one is finished. It also follows along with the way the first book was written, first person but with a wink to the reader/listener. By that I mean that Lancaster has a "deadpool" vibe as he frequently breaks the forth wall. Somehow it works, and makes the story even more entertaining. 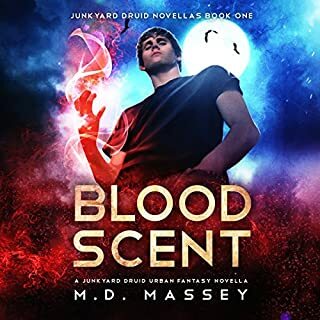 I find myself wondering how I hadn't ever heard of this series, as I love Urban Fantasy and there are something like four books out there already. Sadly, for me I don't have time to read, but can sneak in a ton of audible stories, and so I only listen to what is available on Audiobook formats. We get some info on the person that whackedEddie's parents, and some other characters from book one make a return. All I can say is that this is a really fun series that makes me believe that UF is alive and well with stories like this one showing up. Like the last time, Hannibal Hills does a great job narrating, and he fills in the Eddie attitude admirably; so much so that when Eddie does speak directly to the listener you get the feeling that it really him doing the talking, Hills just happens to be providing the throat. If you are looking for something different, fun, and with a not so perfect MC then this is the UF series that you have been looking for. I am eagerly awaiting books 3 &4! Even though I did receive a promo code for this review it in no way influenced my considerations of the material, and in fact, inspired me to be more honest. Getting a code generally makes me harsher as a reviewer as I am more often concerned what someone like Me will decide based on my review. This is a freaking fun series! Well, I've only listened to this one so far, but got the general gist of things from the summary & reviews. I'll probably be picking it up & will start listening again. Loved the story, sarcasm & humor. I totally get it. 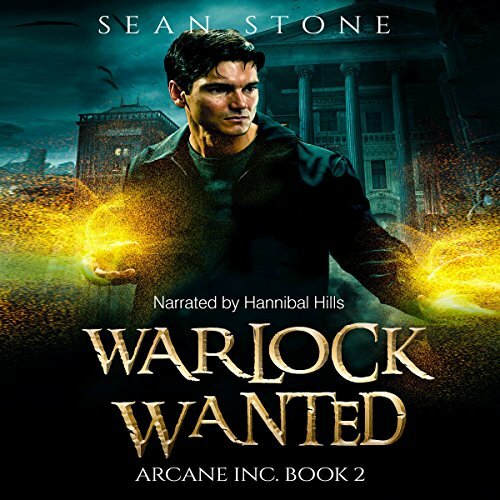 A completely fun listen, and Hannibal Hills is one of my favorite narrators - he's awesome! 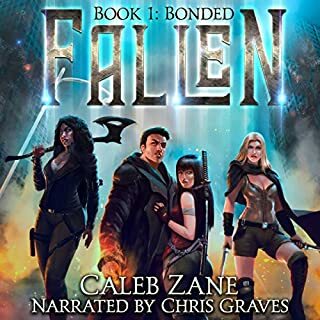 I was entertained from beginning to end, awaiting Book 3 on Audible! Love the magic and creatures! Great fun! This is book 2 in the series and you could read it without reading book 1 first but you would miss out on a great book! The evil witch that has been tracking our wizard, Eddie, for years has finally caught up to him. He has to deal with her threats and a creature that is killing people in the park. The police think Eddie is the suspect. 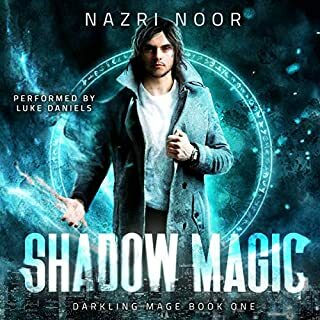 Plenty of action, suspense, magic, and so much more. 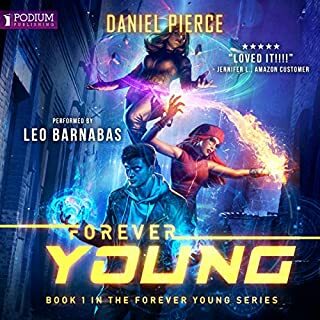 I have not listened to the first book in this series, but Eddie does an excellent job summarizing book 1 for us so we can follow along pretty well. This book is written in the first person and Eddie actually talks to us, the listeners/readers. It’s a unique and entertaining way for the main character to communicate past events and get us caught up to what is going on in the present. He is kind of funny and a bit of a jerk! Narration was pretty good and brought the story to life. It was pretty fast paced and something was always going on in his crazy life. The police is after him, Rachel (an old enemy) is out to get him, and he is investigating some mysterious disappearances. There is also someone he is interested in... Never a dull moment. I’m looking forward to the next book. Wow this book kept me entertained during the entire story. No dull parts in this book. It kept me laughing. What can i say about Eddy. He is neither a good guy but he is not that bad either. 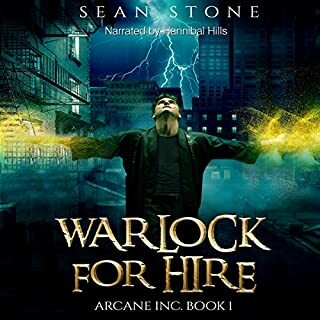 He is a warlock for hire running from his past. Now his past has found him and is causing him trouble. This is the first book i have read in this series, Even though it is book 2 i had no problem following the story. I do want to read/listen to more in this series. The narrator was fantastic. Love his accent. I really enjoyed this series so far. The main character has s dark side to him that make him more believable and more human than most other hero characters. 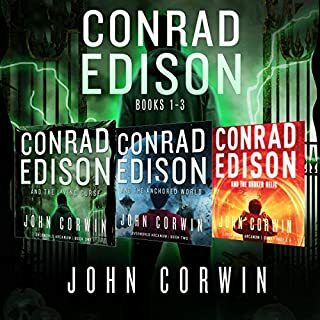 Sean Storie delivers a solid story full of action where the Eddie has to fight hard to stay alive while trying to keep his friends from being killed. Hannibal Hills does a very good job in telling the story. Eddie is at it again going after supernaturals after having many people go missing without a trace. A detective is now trying to prove that he’s done more than he’s really done even without evidence. Also, a former person that was in his life comes hunting him and his friends. What is a warlock to do? Another excellent adventure of Eddie Lancaster. This one has even more snark, mystery, and violence than the previous installment. This time, some strange creature is killing people, and Eddie is hired to figure out what. Hannibal Hills delivers another excellent reading of the book, and continues to impress. Although the second in the series, there is a quick catch up chapter, which brings you up to speed. Reading the first book is not required, but after this, you'll definitely want to. I was gifted this book by the narrator in exchange for an unbiased review.